During the summer I was contacted by PR By The Book, a public relations firm who represents Insight Editions. The discussion via email was about having a review copy and promoting the book. Which I’ve been doing at least since January. Unless I misunderstood I thought an abbreviated copy would be arriving. One day in August I’m heading out and there was a package. I had to leave, I was excited to get back to open the box. 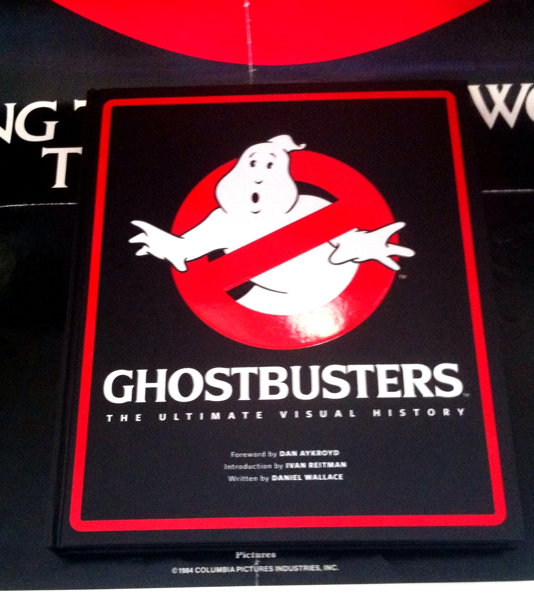 Inside was a copy of Ghostbusters: The Ultimate Visual History by Daniel Wallace. I did what most fans would do, look through the entire book. Then I did what most of us feel we wouldn’t need to do, take 40 photos. I was never under any restrictions not to share what I wanted. Just to wait until the week of the release. Good thing, if I had posted that day I would have spoiled the same excitement most of us have or will feel once ghostheads have their own copy. Once other ghostheads began talking and sharing select content I knew I’d write more about Ghostbusters: The Ultimate Visual History. 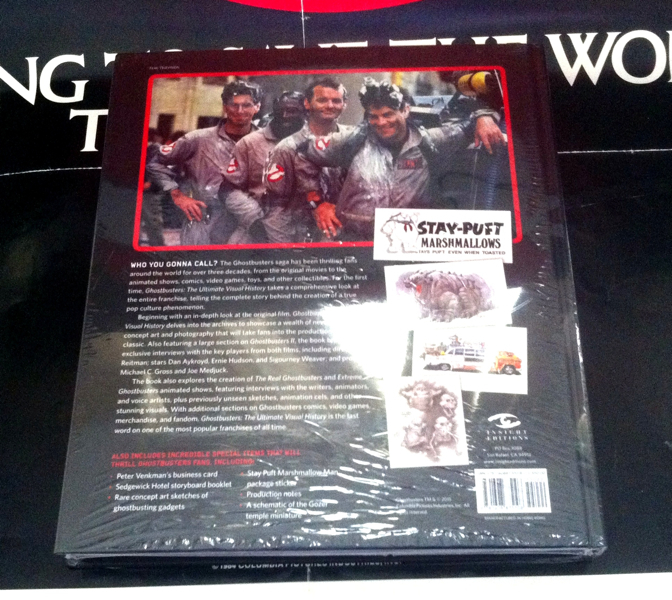 For this blog post I want to express my gratitude and appreciation to PR By The Book, Insight Editions, Chris Prince, (Twitter) Daniel Wallace, and in general to ghostheads who contributed to the making of Ghostbusters: The Ultimate Visual History. While I’m not obligated to I’d like to talk more about Ghostbusters: The Ultimate Visual History at a later date.